The democratically elected government in Myanmar under Aung San Suu Kyi has so far disappointed many voters and international observers. Her supporters blame the military for the government’s shortcomings, but this argument remains unconvincing. The National League for Democracy (NLD) has been in power in Myanmar for over a year now, following its landslide victory in the November 2015 elections. In March 2016, a new president and government were sworn in; and the next month Nobel Peace Laureate Aung San Suu Kyi became the country’s de facto leader under the newly minted title of state counsellor. Hopes were high that the new administration would introduce sweeping changes to the country, which had endured more than 50 years of inept and self-serving military rule. It was a mood encouraged by promises made by Aung San Suu Kyi during the election campaign—to reduce the power of the armed forces (known as the Tatmadaw), change the 2008 pro-military constitution and end corruption. However, the verdict on the NLD’s first year in office, by international commentators at least, has been almost uniformly negative. When it took office, the NLD inherited a wide range of complex problems, some of which had defied resolution since the British colonial era (1824-1948). President Thein Sein’s government (2011-2015) had taken tentative steps toward reform, but it had only picked the low-hanging fruit. Critical political, economic and social problems had been largely ignored. In 2016, every portfolio of government apart from defence was begging for greater attention and more resources. There has been modest progress in some areas, but the NLD government and Aung San Suu Kyi herself have been criticised for failing to keep their election promises and deliver long-awaited reforms. Peace negotiations with ethnic armed groups have stalled. ‘Area clearance operations’ by the security forces against the Muslim Rohingyas have been condemned by the United Nations and others as “genocide” and “ethnic cleansing”. Aung San Suu Kyi’s refusal to address this issue has attracted widespread condemnation. Domestic criticism has been more muted, but clearly the shine has come off the new government and its leader. Remarkably, the criticism most often heard within Myanmar these days is that the NLD government is in some respects no better than the previous military-backed regime. Hundreds of political prisoners have been released but draconian laws remain on the books and are still enforced. Press freedom is restricted and pressure has been brought to bear on anyone criticising the government or armed forces. Dozens of journalists have been jailed. Economic growth has slowed and poverty, particularly in the rural areas, remains a serious problem. Aung San Suu Kyi’s supporters and apologists for the NLD government have tried to deflect criticism by blaming the armed forces, which under the 2008 constitution retain a powerful position in national affairs. 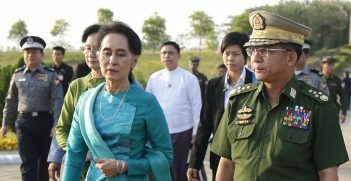 Some pundits have gone further, suggesting that the generals always intended the fledgling administration to fail in order to demonstrate that civilians could not be trusted to solve Myanmar’s complex problems. Such conspiracy theories are unconvincing. 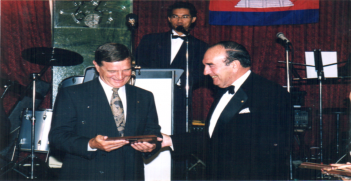 The NLD has been responsible for many of its own problems. When the party took power, it had few detailed policies and lacked strategies to implement the sweeping changes it promised. Few of its members had any executive or law-making experience. Since taking office, new policies have not been well-coordinated, causing confusion and prompting criticism from both local and foreign stakeholders. Aung San Suu Kyi’s imperious personal style, remoteness and tendency to micro-manage have led to resentment and administrative inefficiencies. More to the point, the dramatic transformation of Myanmar’s political landscape over the past decade has been the result of a detailed blueprint drawn up by the armed forces in 2003. It defies logic that they would implement such an elaborate plan just to see it fail. To the contrary, the generals share many of the NLD’s strategic goals. Also, it suits them to step back from the messy and difficult business of government to focus on security matters and the transformation of the Tatmadaw into a modern and professional force. Myanmar always has the capacity to surprise, which makes it difficult to predict what the future may hold. However, the outlook for the next few years is for more of the same, with the NLD government struggling to overcome its own weaknesses and the many other obstacles it faces to deliver its promised reforms. Some policies, such as the negotiation of a nationwide peace agreement with ethnic armed groups, will continue to encounter obstacles. There is also little chance that the NLD government will go as far as the international community wants in addressing the Rohingya problem. In the meantime, the Tatmadaw will protect its prerogatives and safeguard Myanmar’s security as it sees it. This will include military operations against ethnic armed groups and, probably, the Rohingya. There will be an uncomfortable modus vivendi between the civil and military authorities. Unless the armed forces feel threatened as an institution, or perceive serious challenges to the country’s unity, stability and sovereignty, a coup is highly unlikely. The Tatmadaw will continue to rely on the 2008 constitution to guarantee its position at the centre of Myanmar’s national life. The international community has been among the NLD government’s harshest critics, but it needs to measure Myanmar against the same standards as those applied to other countries. There are many examples around the world of democratic transitions that have stalled or even gone backwards. Myanmar is not alone in facing such challenges. While the NLD’s handling of issues like the Rohingyas has rightly attracted criticism, it can be argued that, compared with other new democracies in Africa and the Middle East, Myanmar’s new government is not doing too badly. That said, Aung San Suu Kyi too needs to be measured against widely accepted international standards. 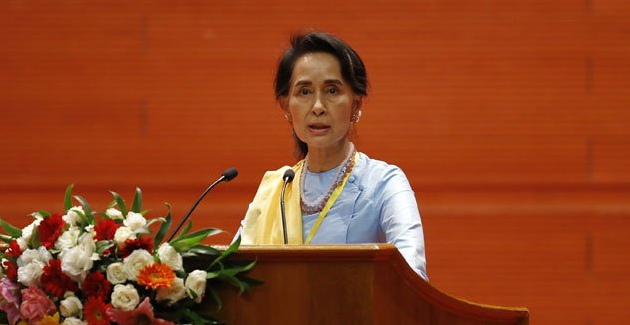 As a political prisoner for many years, she actively encouraged other countries to speak out on the Myanmar government’s failure to observe universal human rights. Yet, now that she is in power, she no longer seems to welcome such interest in her country. Unsurprisingly, this has disappointed her many past supporters. 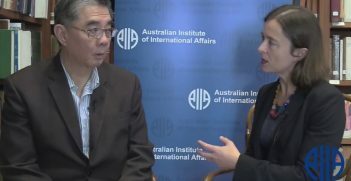 Andrew Selth is an adjunct associate professor at the Griffith Asia Institute, Griffith University, Brisbane. His latest book is Burma, Kipling and Western Music: The Riff from Mandalay (New York, 2016).